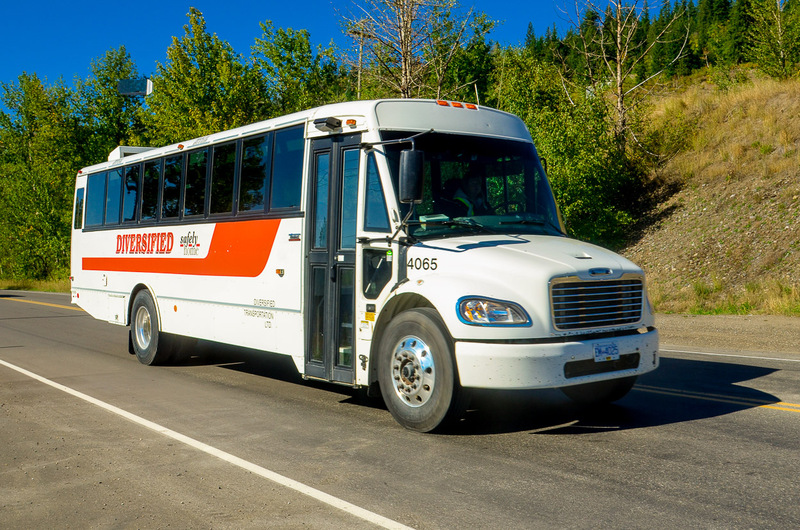 These buses utilize a school bus chassis but are factory fitted for employee transport. They have reclining coach seats, an air ride suspension, a larger engine and transmission (260 HP vs the standard 200 Hp ), traction control, and overhead luggage racks. Many of our units also have under-slung luggage carriers and air conditioning. These buses combine the rider comfort of a coach with the ability to travel on very poor roads and terrain in wet and winter conditions. These buses are very much more capable in unfavourable condition than coaches which are essentially highway vehicles. 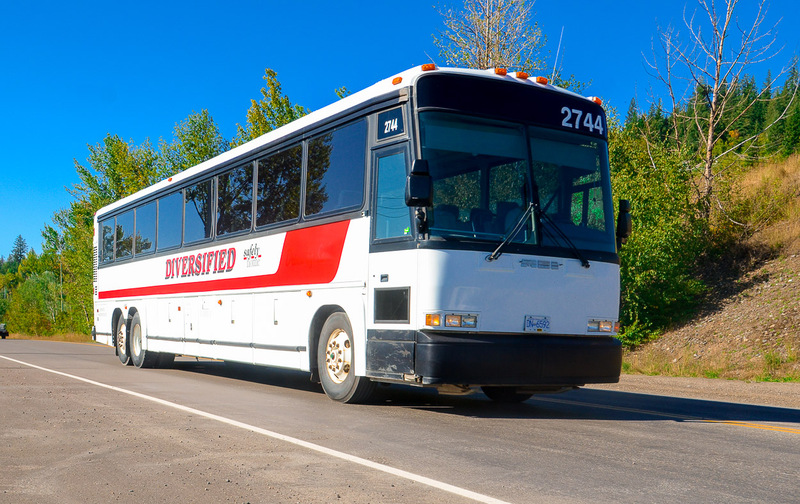 These buses have reclining coach seats, seat belts, large side windows, air ride suspension, luggage capacity, and are equipped with tire chains. These vehicles are designed for safe passenger transport. 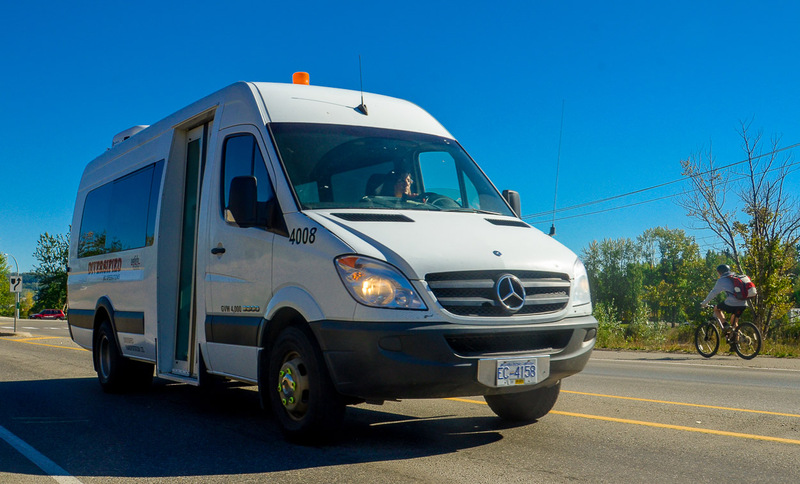 All our Sprinters have dual wheels on the rear axle, air ride suspension, skid control, ABS, and have a roof top escape hatch in addition to a rear door escape hatch that can be accessed from the center aisle. These vehicles are equipped with reclining coach seating and seat belts. These vehicles are perfect for Airport transfers, transportation of administration staff , or shuttling a group of people.